We do not know how the rest of our lives will turn out. 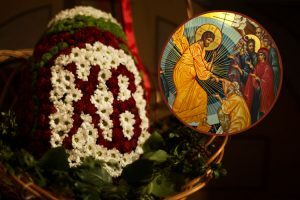 Will the Lord vouchsafe us to live until another Pascha? But let this not upset anyone, for Christ the Savior has trampled down death by His Resurrection and granted us all life. I greet you, dear brothers and sisters, on the feast! Today we have gathered in this holy church to part with the edifying and comforting Paschal hymnody until next year. We have beheld the Resurrection of Christ: thus does the Holy Church portray before our mind’s eye the suffering that the Lord and Savior accepted and conquered for the sake of us men and for our salvation. 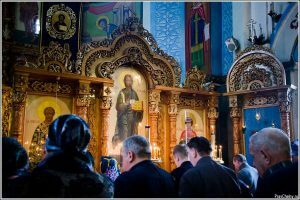 The Holy Church also portrayed in its hymns the great suffering of the All-Holy Virgin Mary, who was the first Myrrh-Bearer and the first, of course, among the Myrrh-Bearing Women to go to the entombed Body of Christ the Savior. 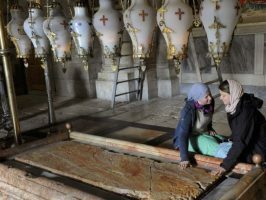 It is only because of her great humility that the Holy Apostles make no mention of this, but we believe that it could not have been otherwise. And the Holy Church therefore chants: “The Angel cried unto her that is full of grace: O pure Virgin, rejoice, and again I say, rejoice; for thy Son hath arisen from the grave on the third day…” The Holy Church believes that the Angel first told not Mary Magdalene, but the Theotokos about the Resurrection of her Son and God. Dear brothers and sisters, when we hear the words “Let us who have beheld the Resurrection of Christ worship our holy Lord Jesus,” we should encompass all these events in our hearts: Golgotha, and the Resurrection of Christ the Savior, and the spiritual condition of the Theotokos. Thus chants the Holy Church: “Jesus, having risen from the grave as He foretold, hath granted us life everlasting and great mercy,” reminding us that the Risen Lord, through the resurrection of our souls, has granted us His great mercy: Eternal Life. Now we are preparing to meet another great feast, when the Lord said that He would grant His blessing to all; and, on the Mount of Olives, during His Ascension, he sent down this blessing upon all. In this manner, we will all recall the events of the Lord’s Resurrection and His Ascension, as well as His words that He will be with us “always, even unto the end of the ages” (Matthew 28:20). Let us pray without ceasing to the first Myrrh-Bearer, the Most Holy Virgin Mary, that she would raise up her prayers for each one of us, helping us to follow the virtuous Christian path. Amen! 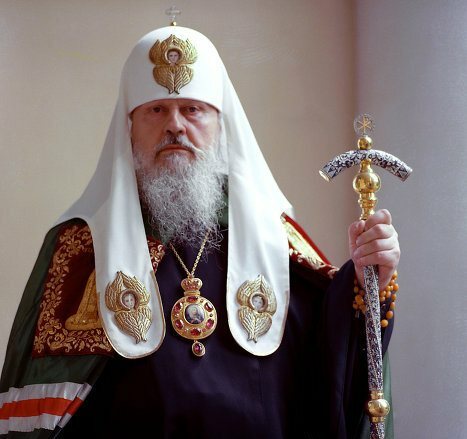 Delivered in the Church of the Prophet Elias on Obydensky Lane in Moscow on May 14, 1980.